When one composes one’s mind and looks inwards, there is a sense of coming to one point. If we are not caught in the thinking process, we can be aware of the here and now, the body, the breath, mental states, moods; we can allow everything to be what it is. The attitude of many people in meditation is that there is always a need to change something. There might be an attempt to attain a particular state or some kind of blissful experience they have had before, or even if they haven’t had anything like that, they might hope that if they continue to practise, they will. When we practise meditation with this idea of getting something, then even the idea of practice, even the word ‘meditation’, can bring up this conditioned reaction of: ‘There’s something I’ve got to do. If I’m in a bad mood I should get rid of that mood. I’ve got to concentrate my mind.’ If the mind’s scattered and we’re all over the place, ‘I should make it one-pointed; I’ve got to concentrate.’ And so we make meditation into hard work and there is a great deal of failure in it because we’re trying to control everything through these ideas. But this is an impossibility. The idea of going off to a cave somewhere to meditate, or of being alone, is very attractive because as you settle into solitude, you do experience a level of tranquillity through lack of sensory stimulation. It is a kind of sensory deprivation. But that kind of tranquillity is easily disturbed. When the sensory impingements start pounding away at you again, you can get into, ‘Let me go to my cave.’ You can begin to hate people. You see them always as a threat. ‘Here they come again. They’re going to disrupt my samadhi.’ So, this couldn’t possibly be the way to liberation. The other extreme is to think that you should not go off to the cave and should not practise meditation. Sometimes you hear people say that one need only be natural and let everything happen. This is true if you can do it, but if you don’t even know what is natural yet, it’s difficult to trust yourself. The word ‘meditation’ covers many different kinds of mental experiences. 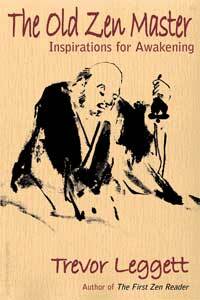 The goal of Buddhist meditation is to see things as they are; it is a state of awakened attention. This is a very simple thing to do; it isn’t complicated or difficult or something that takes years to achieve. It is so easy that you don’t even notice it. When you say, ‘You’ve got to practise meditation,’ you conceive it as something you have to attain—you have to subdue your defilements, control your emotions and develop virtues in order to attain some kind of ideal state of mind. It sounds very remote and far from what we can expect in our lives as human beings. Then you might have these images of what meditators do. Perhaps you think of yogis sitting in remote places, on mountain tops or in caves. Even the Buddha-image can convey this sense of remoteness and separation if you don’t understand how to use that particular icon. So, in developing an attitude towards meditation, towards formal practice or daily life practice, we might separate the two. In formal practice or controlled retreats everything is organised, we all go by the routine, by the structure. Then, when we get up from that, we might feel that that is not meditation, and we leave it. Then we can refer to ‘daily life meditation’, and that seems hopeless. If we compare daily life with a very controlled meditation retreat they are very different. You can’t however live your life in that controlled structure as an ongoing experience. Geshe Tashi [Tsering] made the point very well in his talk last night that this is a real challenge. 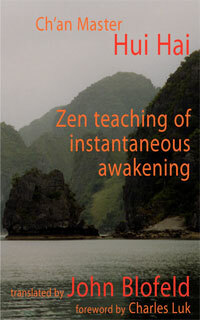 How do you develop this attention, this awakened-ness in the flow of life? That doesn’t remove the option of going on retreat or diminish the value of retreats in any way, but it is a way of looking at meditation as awakened-ness and awareness, mindfulness, so that it actually is something you develop throughout your daily life in whatever way you have to live it, in whatever conditions. There is a sense of allowing things to be. In this present moment you can allow your body to be in whatever way it is right now, as well as your emotional state or mental state. You can be just the observer. Right now the mood is like this, I feel like this. Just observe it; just be aware of it. Is there confusion, indifference, happiness, sadness, doubt or uncertainty? Whatever is present, allow it to be what it is. Try looking inwards with this attitude of observing whatever is present. It can be something very precise, like anger, or something very sharp. A lot of our emotions, however, are nebulous, kind of amorphous, wandering things. So now put yourself in this position of the Buddha, Buddho, the knower—not the judge—and just look. Just notice what kind of mood or feeling you are in. When we start really noticing, really listening or paying attention, sustaining an awareness on just this mood or mental state (and we’re not used to doing this), then we may become aware of bodily tensions or feelings of bewilderment, of not knowing quite what we’re supposed to be doing, what we’re supposed to find. Now, be aware of this as a mental object. 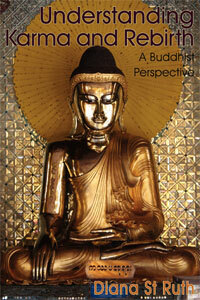 What we are doing is putting ourselves increasingly in this position of Buddha, the Buddho. Then your emotional state is seen in an objective way; it is like this. ‘What am I supposed to be doing?’—This can be seen as a mental object. Another suggestion is to relax into the present. You have this idea of what you have to do, and you put yourself into a state of tension through too much effort. It’s not a matter of trying too hard or not trying at all, but of just the right amount of attention needed to just listen, to just be open to this present moment in a relaxed way. If we force it, if we try too hard, then we tend to contract; we don’t relax. Then again, if I say ‘relax’, you might take that as meaning ‘lax’, so then you just fall asleep—those who are sitting on the floor decide to lie down, then they go to sleep. Or one could take ‘relax’ as an attitude of just letting go, an attitude of not having to do anything or get anything. This is not a kind of ­gaining situation. You are not here to get something or achieve something, so it’s not like a worldly thing. You are not here to get your samadhi or prove something. What accompanies that might well be the fear that you won’t be able to do it, ‘Maybe I’m one of those people that will never get enlightened.’ Another one we all sometimes revert to is, ‘I don’t expect to get enlightened in this lifetime. I just don’t have what it takes.’ Well, don’t believe that one either. 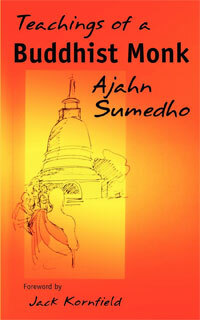 Ajahn Chah used to call meditation a holiday for the heart. We have a tendency to think that meditation is something we’ve got to achieve, another thing we‘ve got to do and get, but Ajahn Chah would put it in terms of a holiday. Try that, try seeing meditation in that way. Excellent blog…addresses pertinent issues for anyone who sits. Thought provoking article… Extremely well written…. All the answers are here soon as we allow everything to be as is! I enjoy reading all your articles , thank you! Thank you for this, something I really needed to read at the moment! There is great wisdom in this post. I am relatively new to meditation (just a couple of years), but very dedicated as I have noticed profound changes in my life — greater connectedness, patience, and joy. I am not connected to any groups, but have a regular, personal practice. Of late, I have found myself trying to use my meditation times to “fix” things in my life. I needed this reminder to just “be” and to “notice” rather than fix! Thank you for this gift! Inspirational article, this is just what this mind needed to read!